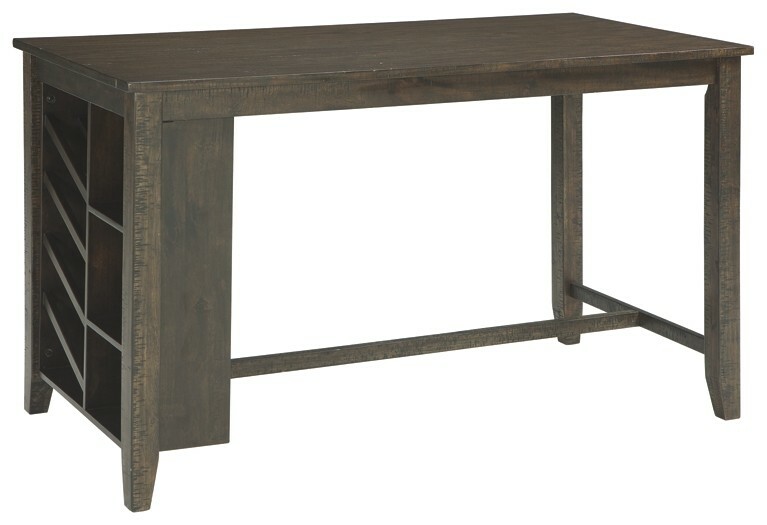 “Rough sawn” texture and a warm brown finish is where the style begins and your dining area or game room is where this table belongs. 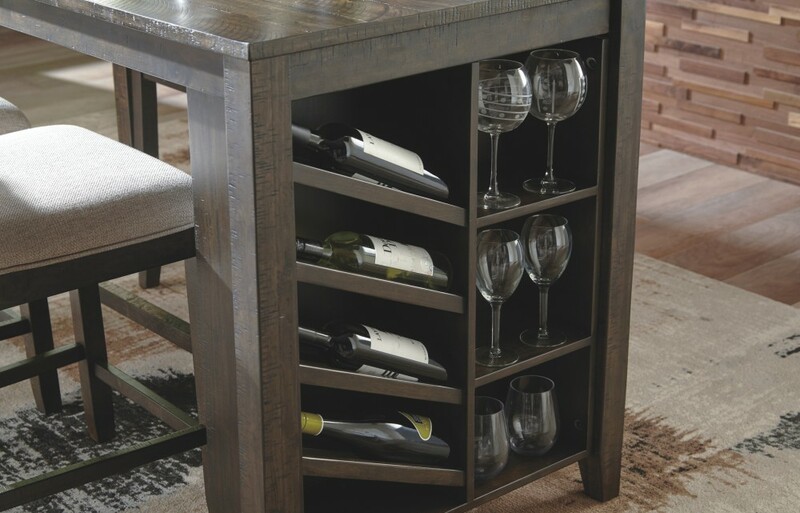 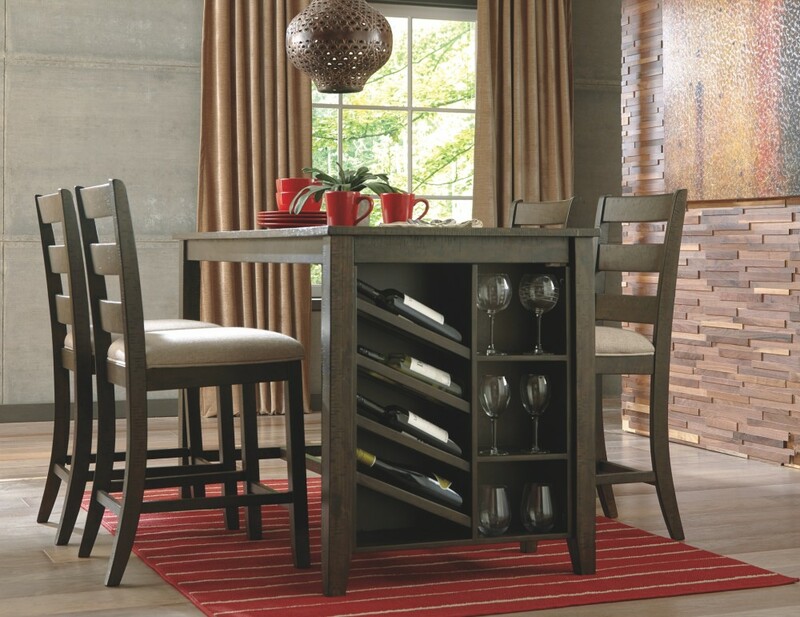 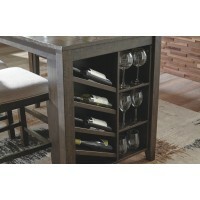 Relaxed elegance is easy with a built-in wine rack and open shelving. 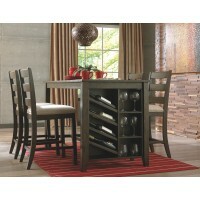 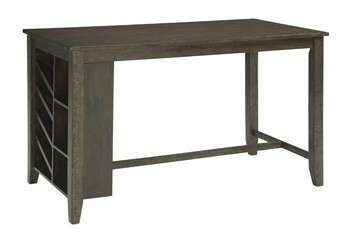 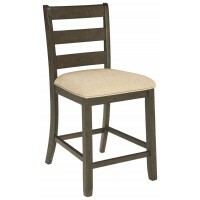 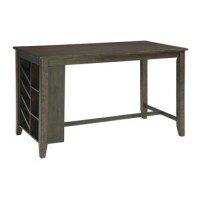 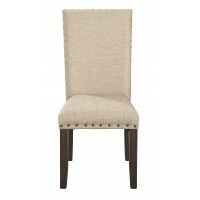 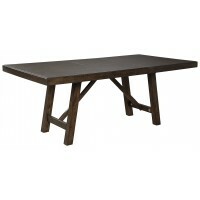 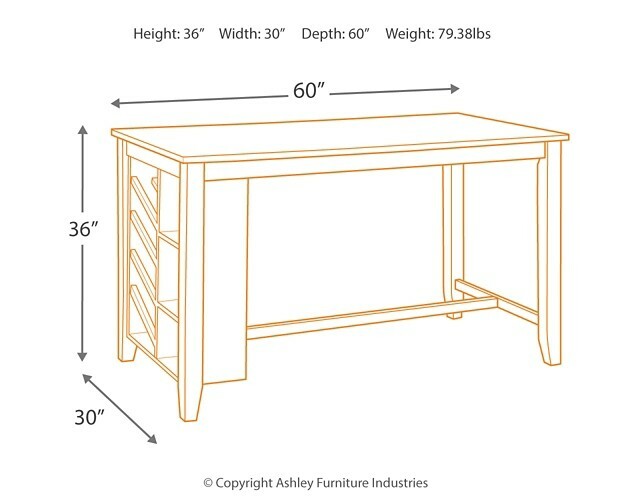 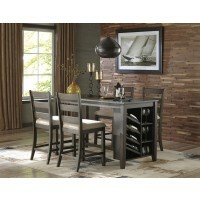 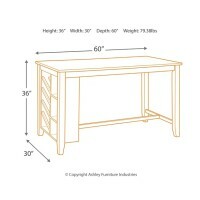 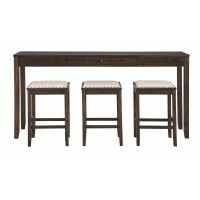 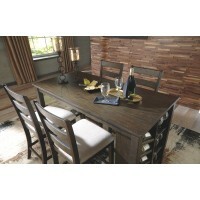 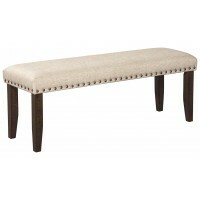 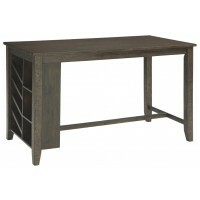 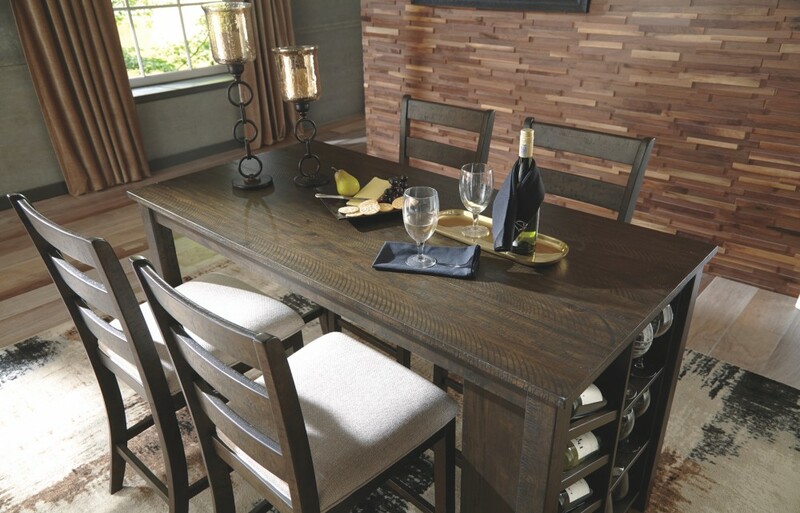 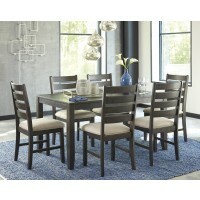 Find functionality and contemporary style at its best with this counter table.